I look back and I admit I loved my Corporate career. The majority of companies I worked for, I loved. The majority of bosses I worked for, I respected and built excellent relationships with. The majority of staff I managed were excellent team members. I did work hard. I ended up being the Manager who could turn things around. If there was a ‘problem’ department I was asked to go in and turn it around. Get it back to providing a great service again. Of course, I had a great team around me. It wasn’t just my efforts. Leaving the Corporate world was always my plan b. Over the years, I had seen people leave and go off and do their own thing. I remember one guy started a skateboarding park. I understand he runs a bed & breakfast place now. I admired them so much. For having the courage to leave the Corporate world and start their own thing. “I couldn’t do it”, I thought. A really good work colleague used to say to me, “I don’t know how you do it. Working 12 hours a day for this place. You need to start your own thing”. Of course, fear was holding me back. I had 2 young children. I was good at my job and I felt ‘safe’ and I didn’t mind the hard work. I’ve always enjoyed my work. I was earning really good money in return for my hard work. My wife and I invested wisely. We purchased several other properties and rented them out. That brought in extra income. But there does come a time when money isn’t everything as I explained in my worst decision post. While still working for the Corporate Company, I started my own Management Skills site and on-line business…then after 2 years of working weekends and evenings, I left the Corporate world, one year ago and started this blogging guide blog, as well. No comments, no tweets on that one! Am I happy with my blogging results? I am disappointed with my Google Page Rank. I did expect it to increase in the last update but I’m not losing sleep over it and I’m certainly not going to change my approach to blogging…as it now provides me with a decent income. By far, my best selling product in this area is the Mastering Public Speaking product. No matter which area you work, public speaking is crucial. Even blogging if you are making videos or on the seminar circuit. But the most exciting is my first ever Blogging Guide Membership site (currently closed for new members) that I created with Joel from Blog Tech Guy. 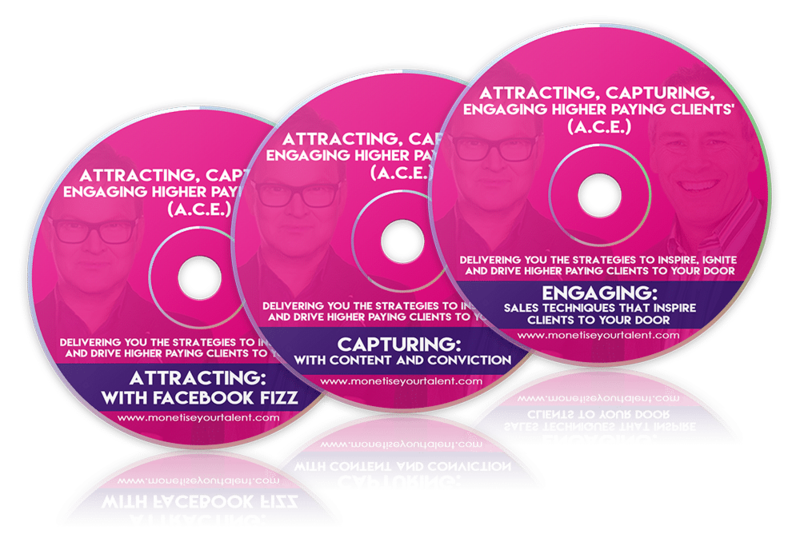 It’s a great success and hard work but it’s also been great fun creating the Blogging Guide course and helping others. That’s where the real fun and buzz comes from – when someone says we have made a difference to their blogging experience. (By the way, we used Yaro Starak’s “build your own memberships course” to build our first membership course). Have I had fun in my first year working for myself? Of course, I’ve made a lot of mistakes (they will be detailed in another blog post soon) but that’s how you learn, isn’t it? I love working from home. I love the freedom I have. I love building reciprocal relationships. I love building new products that help others improve their lives. The last year has flown by and I’m glad I took the decision to work from home. How are you having fun while blogging? Share your views in the comments below. I love your blog posts like this, interesting and inspiring, thanks Andrew! .-= Joel´s last blog ..Why You Should Leave Blog Comments =-. Thanks, Joel. Kind words, yet again. I wouldn’t worry much about the pagerank, you are obviously getting traffic and being ranked for your keywords is more important, just keep doing what you are doing…. .-= Keith@ Hot Blog Tips´s last blog ..Comment Links: Are They SEO? =-. At first I was concerned with my PageRank. Then I thought, “Don’t worry”. Keep doing what you are doing and it will turn out great. If this time next year, I’m still PR 3 – I may still be a tad unhappy! Your blog gain some nice stats, I think since a long time your are posting daily on your blog. This one is really very good work by you. Just keep posting nice content on your blog, we are always ready to listen from your blog. .-= chandan´s last blog ..New program at google work at home affiliate network-February 10, 2010 =-. A great post, really glad you did it, as I am (now). You have really useful and well written content that I have been following for some time. .-= Lance Nelson´s last blog ..Lift Queues, Snow And Pictures =-. Well thank you! I’m a little taken back by those very kinds words. Congratulations Andrew! One year in must feel pretty good, especially since so many people who start websites quit early. It took me one year of running the wrong type of ecommerce store for me to figure out where I needed to go. It took me another three months to earn some real money. And the time spent was definitely worth it. Looks like on average you’re posting every 1.5 days. That’s fantastic and should have earned you a portion of that PageRank. I’m a little stumped regarding your PR since I always follow the rule of updating often and consistently to increase mine. But, as mentioned in other comments, PR isn’t everything. You can still achieve high rankings without having the highest PR. It does play a role in them, however (or at least it used to). Again, congratulations and I wish you much success for your future blogging! .-= Keller Hawthorne´s last blog ..Last Day to Win My New WordPress Theme – Fresh Journal – or Get $10 OFF! =-. It has been hard work but I’ve enjoyed everyday…If I had to travel to work, I would be skipping there! I’ve made loads of mistakes previous to this year as well – while I was building up my on-line business and working full-time for the corporates. I would sing the Happy Birthday song to you, but then I would have to pay the RIAA licensing fee. .-= Rich Hill @linkmoney.org´s last blog ..Become a Warrior Join their Forum =-. Perhaps a video of you singing Happy Birthday? Wow! This is great achievement. Very rare internet marketer achieves such a goal within one your. This post will encourage to others. .-= Chris Peterson´s last blog ..Generate Remarkable Headlines Today! =-. Thanks! If it encourages just a few – that would be great! Some thoughts on possible ways to increase page rank. You have a great many outbound links in this article. I have not dug a lot deeper to look at others, but lets reference this one for now. If you do want to give juice to some of your outbound sites, your links are fine but they will influence the PR algorithm in a negative manner. You might want to go through them on a case by case manner and decide which ones you really want to give away some of your page rank which is essentially what you do with every link. That just means that you have to get that many more inlinks just to make up for your PR drain. So on the ones that are not required to follow, just insert the rel=”nofollow” tag after the html link and before the anchor text. Then on your blogroll, I would recommend using a WP plugin called Nofollow Blogroll SEO. It allows all your blogroll outbound links to receive link love, only just from the homepage. 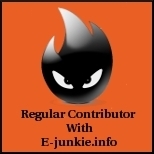 All other individual article pages the blogroll links show up as nofollow. One other thing that might help is to add some wikis or some non-profit high quality sites in the blogroll, say like industry giants in any appropriate niche. From what I can find out, G likes to see links out to highly respected domains. It is usually pretty easy to find a wiki about any subject at all, and those are good ones to give your site a bit more authority. This is what I have been doing lately on my money makers. It is too soon to tell if it has made a difference but from all my research, I think that it will. Thanks, Rich for taking the time out to share those tips. I don’t normally do too much linking out but still – thanks for the info. I shall definately look at the Nofollow Blogroll SEO plugin and add some Wikis. Thanks again – you are a star! What you are suggesting is that Andrew is “giving” away his PR, that is completely wrong. Google likes to see you linking out, and the PR of your site is completely unaffected by linking out. What happens is the more links out your have the less valuable the link becomes to the site you are linking out to, but your PR for that page stays here, regardless if you have 100 links out, or 1. .-= Keith@ Hot Blog Tips´s last blog ..Drooling On PageRank =-. Actually, every time you dofollow link to another web page, you share your PageRank with that page. So having a million outbound links on one of your pages can reduce the PR of your page. However, links are only one variable of the equation. .-= Keller Hawthorne´s last blog ..PODCAST: Let’s Talk About Ecommerce – Q&A with Keller =-. If you have an internal page with a PageRank of 5 (keep in mind the real PageRank values are not integers but rather floating points), placing 10 external links on that page would in no way affect its PageRank. The only thing that would happen is that each of those linked pages would receive a link juice of 0.5 (the value of each link is equal to the PageRank of the page where they come from divided by the total number of outgoing links on that page). His site is a PR6 and he has MANY high PR internal pages. I would trust/value his opinion (not that there aren’t others) but I will research Google on this too, I am sure they have stated the same. You surely achieve a great things of blogging — and it is for only one year. I really admire it Andrew. Btw, starting my own thing is one of my target in the end of this year. Thanks and you can do it – start your own thing – you know you can! Thanks Andrew for another great post. I lost my job 5 years go and decided that I wanted to do a webite on happiness. I’ve made lot of mistakes over the years, but I am determine not to give up. After all when I started I didn’t even want to go near a computer. The knowledge I have learned is wonderful and finding people like you to help guide me on my way. It took me 4 1/2 years to find you for the help I have needed, but it has been worth the wait. Reading your post has re enforest that I am doing the right thing with my blog. I’ve made loads of mistakes as well – but that is part of the journey, isn’t it? Thanks for your input on the Page Rank subject. The first three returns were non-conclusive and I do not have time right now to dig deeper, but I thought you might appreciate what did come back. Does not seem to answer the searched for question but essentially warns people against SEO merchants and posts the address to the FTC. So the jury is out and I certainly hope that you are correct. I will have to do some more digging when I have time. BTW, I read your recent post and it is excellent. Page one of Google for my 6 targeted keyword phrases. Ever thought of providing KW research services? I think that will be the next service on my list! I’m concentrating on providing support to my blogging membership members right now but that is definately on my list of things to offer this year. Congrats on your 1 year anniversary!! Don’t sweat the PR – just worry about where you are on the SERPS 🙂 Great job on the blog! .-= Christine´s last blog ..Upgrade! =-. Thanks, Christine (and thanks for dropping by!). I will keep working away at the SERPS and I know the PR will improve! Thanks for coming back and helping with the PR topic. Sounds like if we got 50 experts on PR ranking in one room – we’d get 50 different answers! And the only ones who REALLY know are Google. I rarely link out so hopefully, whatever the real answer is, it won’t cause too much of a problem. That is a really great result from just one year! I love how you mention that the majority of your blogging income comes from products you create, as I am looking towards the possibility of creating my first product. .-= Tom@Free Squeeze Pages´s last blog ..The Aweber Code….And Why You Need To Promote It! =-. Happy One Year Blog Old! I got to know you thru other blogs that you have left your comments. Great job, keep up the good work and momentum! Great for you to come over and ‘nose’ around. Hope to see you again…soon. Congrats! Good to know you’ve come this far and thanks for being there too. Saw the Arsenal Match? Too bad they lost. Learnt some things from you that helped in my book. Would you consider writing on how you got the backlinks, page rank, twitter followership of 25k and alexa ranking of over 50k? .-= Olusegun´s last blog ..20 lessons I have learnt about blog commenting =-. I’m actually a Chelsea fan so I don’t mind if Arsenal lose (don’t tell anyone!). I shall be writing about backlinks later today – the post is ready – just waiting for it to be published. Look out for it. Don’t focus on the negative i.e. Page Rank. Your other stats are excellent, especially your Alexa Rank. And that’s after only one year! I’m trying to rank for Product Review Writer and am having a hard time with that alone. .-= ConnieFoggles´s last blog ..Day One – Disney Social Media Moms Celebration =-. It can take a while to get a decent ranking for a keyword phrase. Perhaps you you try writing you comment name as: Connie @ Product Review Writer ! Congrats Andrew… your blog has been very useful and I love the simple layout. I noticed you had a couple of footer links with different anchor text but the same URL to the root of your blog.. I read somewhere (officially) that google only counts one of those anchor texts toward your incoming keyword value, so you may want to rethink that strategy.. I’m sure it doesn’t hurt anything, but changing it around to each have unique pages sure may help. Just my 2 cents! .-= James´s last blog ..Plane crashes into Northwest Austin building … =-. Thanks for the tip, James. I shall re-think. Everybody is talking about this ranking with Google. I really don’t know how much this means or what I may doing right. I just do what Andrew tells me to do, but if you check out internet explorer with Google I am listed number 1 for happy maker out of 22,200,000 and for Firefox I am number 2 out of 50,500. So am I doing something right? Is this good? A lot of people follow the Page Rank thing real close – it’s almost a status thing with some. You are in a good position where you don’t worry about…stay that way…just keep doing what you are doing. Congratulations, Andrew! Wow, that is some accomplishment! It sounds like you’ve worked very hard, but you had a strategy so your work was very focused. I missed signing up for your course. Are you going to open it again soon? You’re definitely one of the nicest bloggers I’ve come across in these waters. You’ve been so helpful to me, and I really appreciate it! .-= Bonnie Landau´s last blog ..Create a Fan Page for Your Business on Facebook =-. Those are very, very kind words! Re: blogging course…not sure…perhaps in another month or 2. Joel and I want to provide excellent service/advice to our current members before adding any more. Thanks Andrew, I’ll just keep doing what I am doing. It is nice to get the imput from people like you that really know what they are doing. I like how you eplain this, Like being at a party and asking “What do you do for a living?” That is good. Hi Andrew- I had a pagerank 4 on another site, then decided to follow my passion elsewhere. Now I’m starting all over again – not a good way to increase readers – but I’m managing to bring over some readers from aweber and rss etc..
.-= Michelle Vandepas´s last blog ..Donna Hill Blind Advocate – Musician – Cancer Survivor =-. You have asked the million-dollar question! You already know the answer…build your list…build your relationship with that list…give away your best advice…promote only products (and your own) you have personally used and benefited from. Congratulations on your one year anniversary of the blogging guide blog. I hope to some day follow in your footsteps and leave the corporate world. For now I’ll have to just stick with blogging part time and dream about life outside the cubicle. .-= Colby´s last blog ..My Money Goals Timeline =-. It took me 2 hard working long years of part-time working before I could leave. Work as hard as you can (without damaging yourself!) and create you own products. @Andrew, I’ve been blogging for a little over 2 years with some success. I agree that I need to release a product of my own and I have a few ideas that I will hopefully start on next month. When you were working on your blog part time how many hours do you estimate you put into your blog per week? re: blogging part-time. Anything between 15 and 25 hours. First of all I would say Happy anniversary for your blog Andrew. I like your story that you used to work in a corporate just like what I am doing at the moment. I wish I would be like you quit from my corporate job and start building my empire online business as what you have been doing so far. Keep the hard work and I am watching your every single blog post and learn from it then put it in actions. It took 2 hard long years to do it but I love every minute of it, now. Congratulations on your success for Page 1 status! My blog is my Plan B for retirement, and I have to learn more about keywords. Will be following! .-= Moomettes @ WAHM Tips´s last blog ..Backlinks: How to Build Solid Traffic =-. A great plan b! That’s my new plan B! Congratulations on the one year mark! Looks like you’re doing a very good job with this blog! .-= Anne Moss´s last blog ..My Fast and Dirty Fix for Coming Up with a Good Post Topic =-. Congratulations Andrew. IMHO you’re doing extremely well. I did a similar post on my blog GrowMap’s first birthday but I didn’t think to include some of the stats you have shared. I thought you might find it interesting to compare a few numbers just for curiosity’s sake. You have far more Twitter followers already and are much better at monetizing and being a business. My focus has been more on giving free support to businesses who can least afford it or don’t realize how important it is to pay for it. This year perhaps I should learn more from you about monetizing. I just made sure I did remember you when I created my list of dofollow CommentLuv KeywordLuv enabled bloggers (and I did). Your readers can find more of them in the post I’ll share in CommentLuv. I’ve checked the box to receive your free “Income Blogging Guide” and would love to connect with you by email and in chat. I find collaborating the fastest way to more success and hope you might be interested in comparing notes between us. I would love to have your feedback on the free guide. Comparing notes would be great. I wouldn’t worry about Pagerank if I were you – it’s no longer a good indicator of a site’s success. I’ve got sites that are Pagerank 5 and 6 and barely make a hundred bucks a month. I understand what you are saying – it’s a just one way of monitoring progress. I was looking for those post which tell the progress of blog after one year and after reading your post I am confident enough that I am following correct path. That’s good to hear. I hope your path continues to be correct! I’m now into my third year and have over 200K backlinks. What are you doing to buld backlinks?